Short and mighty, strong and brave, the English Bulldog! I have always loved English Bulldogs! Funny stories? How about every day??? Bella is the only bulldog I know that LOVES the water. Last summer when she was 1 year old, she went on a 1-week river-rafting trip. She hunkered down and rode out class 4 rapids with the best of the retrievers on the river. 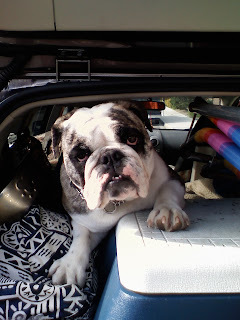 She collected a lot of admiring attention as all the river folks she met that week on the lower salmon river of Idaho NEVER saw a bulldog on the river...especially one that was willing to sport a life preserver!!! With their courageous personality and brave hearts, the English Bulldog was bred to be fierce fighters, but are now loving family pets. One of the things that make them most endearing is their wrinkly face. Even the puppies have wrinkles. They also have loose skin around the neck and shoulders. Although the wrinkles make this breed extra cute, it is important for their health to clean their wrinkles often to prevent any infection. Grooming your Bulldog is very easy, but even though the Bulldog's hair is short, they will shed. So brushing them often will keep his/her hair off the floor and couch. And brushing any dog will keep their skin and coat healthy. 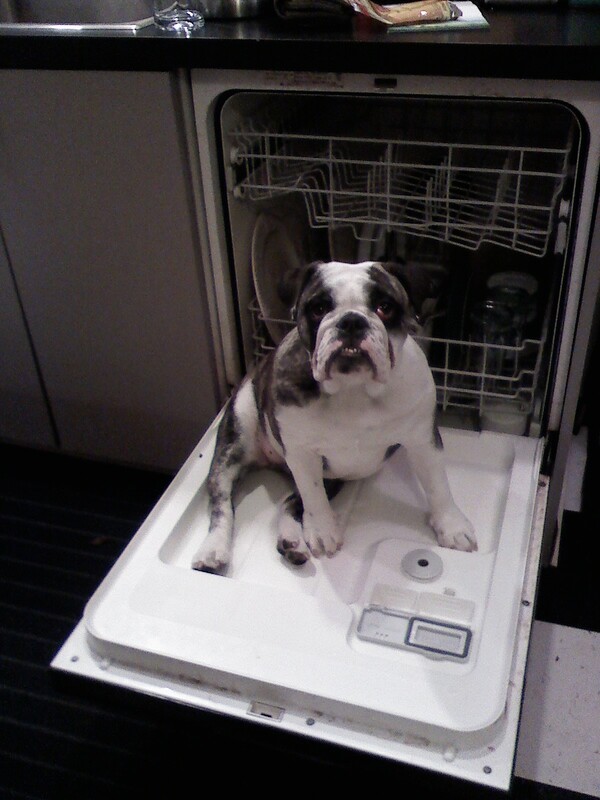 Not to be confused, the American Bulldog and the French Bulldog are not classified under this breed. These are different and totally distinct breeds. Fun Facts: Adam Sandler has had three Bulldogs named Matzoball, Meatball and Babu. From fierce fighters to loving pets, the Bulldog is a brave and loving breed. I know this is random, but the dog i used to have was named Bella.